Looking for a huge tone? The Gran Royale is a big body, full hollow, dual pickup, 22 fret electric guitar, featuring arched top and back, bent sides and a 648mm scale. Its 60mm deep sides combined with a full hollow design featuring a soundpost-construction make it the new Big Boy in our lineup. And it sounds huge. The Gran Royale sports twin F-Holes, a floating transparent pickguard and our new 4-Way rotary pickup switch which adds a new variation to the way we combine pickups. 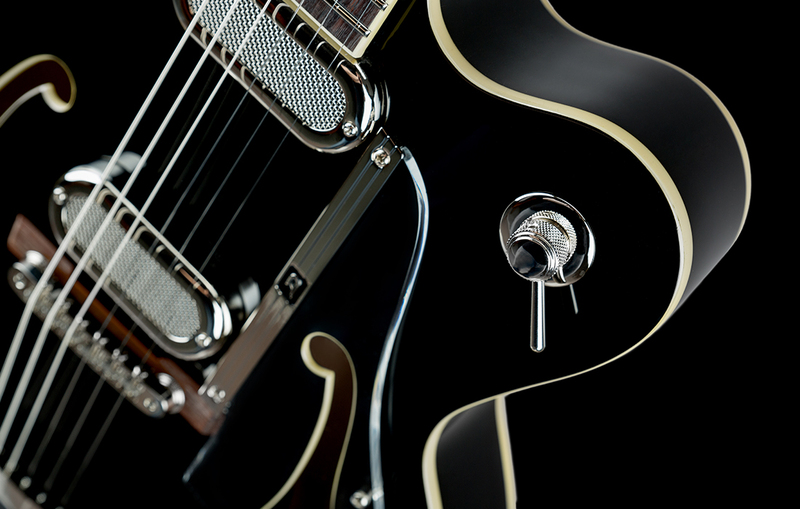 The special soundpost-construction beneath the bridge is designed to reduce feedback through the guitar body and will keep you going even if your tone gets rough. 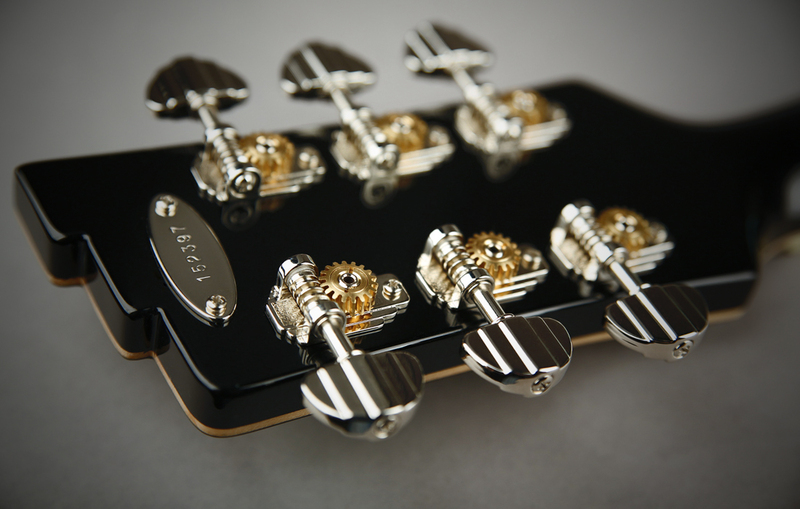 The new Phonico pickup covers are our visionary expression of truly independent hardware design. They also prove that nothing really has to stay the same just because it always has been. The inside dimensions are designed to hold most forms of today's pickups, just in case you may want to swap them. We don't think you will. 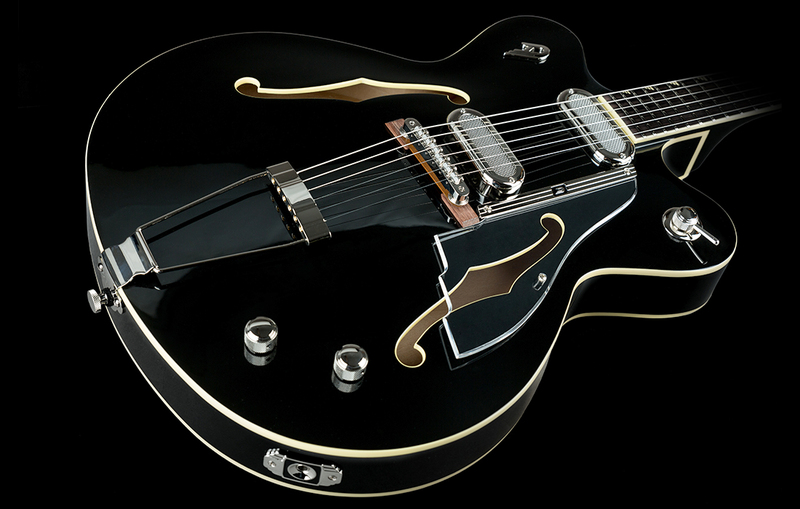 The Gran Royale is available in two variations: The double cutaway version comes in a high-gloss black and is equipped with a Duesenberg trapeze-tailpiece. 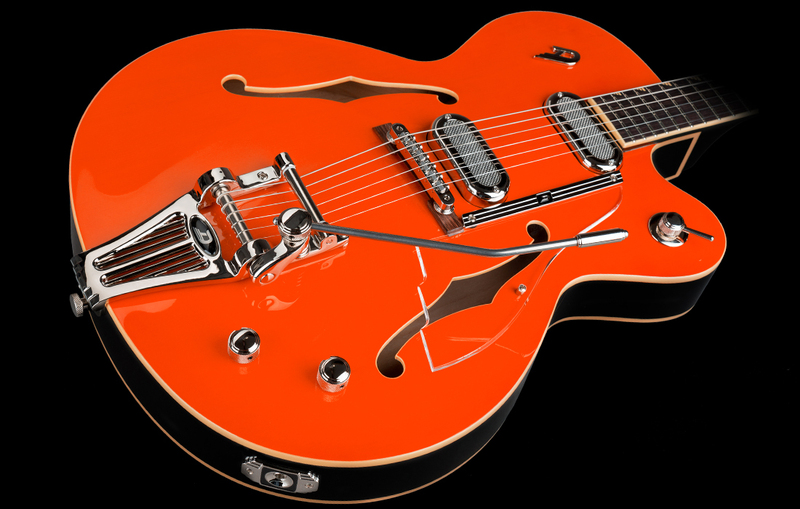 The single cutaway version is available in a timeless Vintage Orange, sporting a Duesenberg Radiator Tremola. Both versions are only available in the above mentioned colours and hardware configurations.